Moving a house is a challenging mission as there is a lot to be considered. You need to hire the best removal company when relocating to Chelsea, SW3. Hire Moving Service for all of your moving needs. We are on hand to help from the start and we will call and discuss your needs and supply an accurate quote. Our prices are affordable and our services are trustworthy. You can expect a first - class job that is done on time and with great care and efficiency. When you are moving to Chelsea make sure you call us and book your removal date. We can offer tips and hints on what type of moving service will suit you and your family. 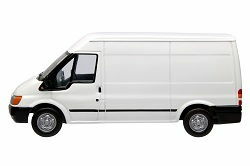 We have a wide selection of options to suit you, such as a man and a van if you have a smaller load. You can also opt to hire our reliable removal van and do your own removal in your own time. We can offer a team of experts to do the complete work, the decision is yours. Call now and have a chat about your move with our helpful and polite staff on 020 8746 4402. We will book a quote and offer help where you need it. It is a wealthy region located in South West London and surrounded in the south by the River Thames. Its postcode districts are SW3 and SW10. In the past the area was home to poor artists, poets, painters and writers, but today it is home to bankers and film stars. The outlook from Chelsea Bridge covers Cheyne Walk, Lots Road and Chelsea Harbour. The area is home to Chelsea F.C. on Fulham Road. The area attracts many visitors because of its affluent lifestyle. It is a stunning place and located along the River Thames makes it a stunning location. The area has stylish town houses, owned by rich footballers and property tycoons. The area is expensive and posh with great shops, farmers markets and organic food shops. It has Sloane Street for shopping and Carnaby Street for fashion that date back to the swinging sixties. It is the birthplace of punk music and a lovely location centered in the heart of England’s capital city. 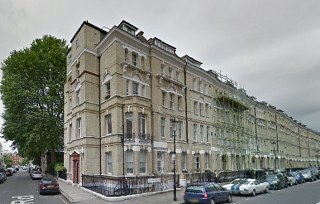 The area is a branch of The Royal Borough of Kensington and Chelsea. Like most of the city it has good bus, tube and train connections to all other parts. When you are moving to the area you need to hire a trusted and capable company. Moving Service is the first to call if you are looking for the best removal services in Chelsea, SW3. Your move will go smoother if you use our professional services. You can call us on 020 8746 4402 or request an online quote. Our call centre team is happy to help answer any question concerning your move, so please don’t hesitate to get in touch. We cover all moves including furniture, office and international removals. All of our work is done to a high standard that you will be happy with. You can trust us to organise a well planned move to SW10 area. We supply packing materials, a man with a van and removal van hire, as well as team of professionals to perform the entire relocation. Bear in mind you need to get permission for our removal vehicle to park in your area, so for a parking permit in Chelsea, visit the local council’s website. Very impressed with these movers. They cleared out our flat in under 2 hours time, and were well on the way to our new home in SW3. Sharp!